Many people are aware that some pest insects can occur in huge numbers when the weather or other environmental factors are favourable. The same is also true for beneficial insects. 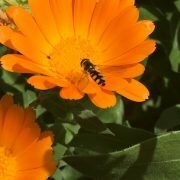 This spring there are enormous numbers of hoverflies (also called syrphids) that can be seen swarming around flowering plants. 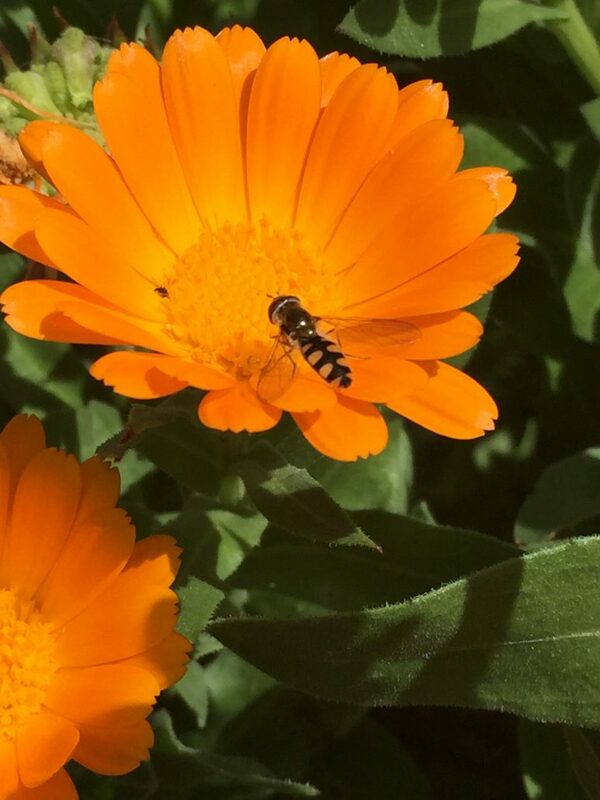 Hoverflies look like little bees but are actually a species of predatory fly. The adult flies feed on nectar and are good pollinators and the larvae (or maggots) mostly feed on aphids. Hoverfly maggots are voracious feeders and can clean up large populations of aphids very quickly. The larvae can be difficult to see when they are small so it is often easier to look for eggs which are white and elongated and laid near aphid colonies. The larvae are often green, have no legs or head capsule and grow to about 15mm before pupating. 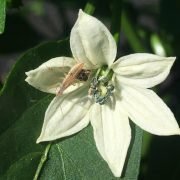 The extremely high number of these beneficial insects at this time of year means that there will be a greater than usual biological control of aphids in a wide range of agricultural crops unless they are disrupted. 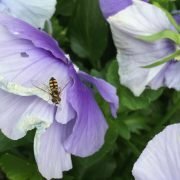 Hoverflies have naturally occurring enemies just as some pest insects do. There are species of parasitic wasps that lay their eggs in hoverfly larvae and kill them in the same way that aphid parasites kill aphids. Over the season these parasites can lower the population of hoverflies but the hoverflies build up again very quickly when aphids are present.